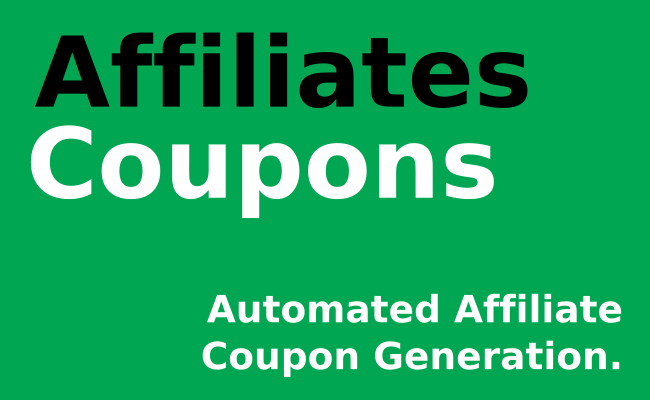 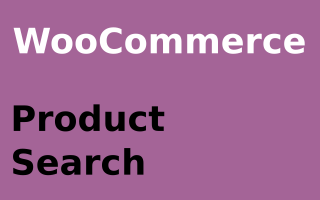 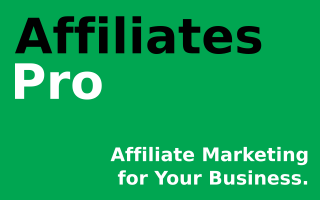 This extension for Affiliates Pro and Affiliates Enterprise and WooCommerce allows to create coupons for affiliates automatically and in bulk. 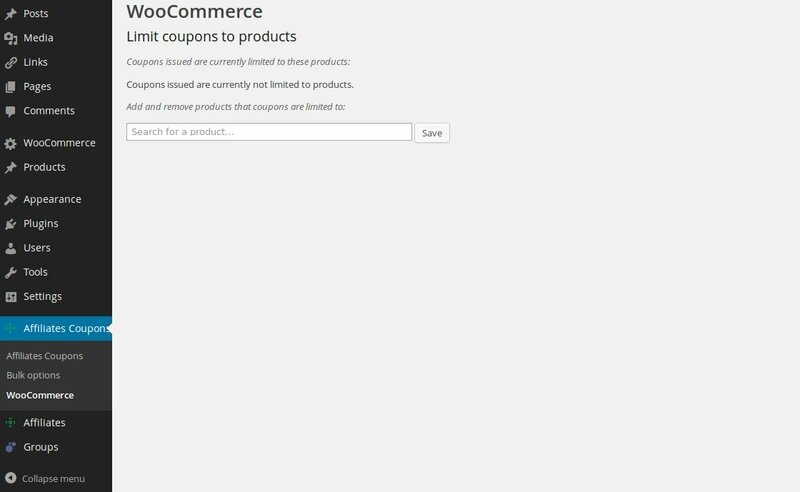 The extension automatically creates new coupons for new affiliates. 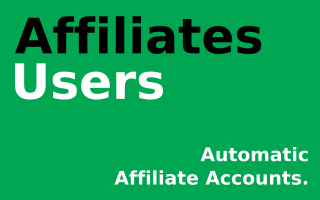 The new coupon is associated with the affiliate so that the affiliate is credited with a referral when a customer makes a purchase using the coupon. 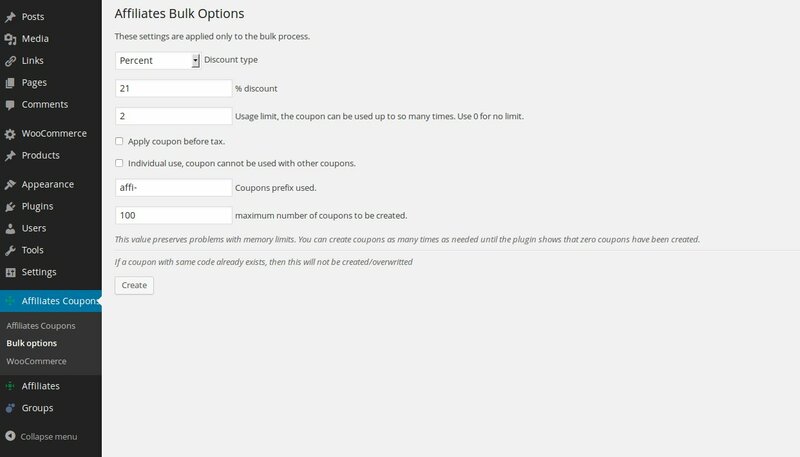 The bulk coupon creation features allows to create new coupons for all affiliates in bulk. 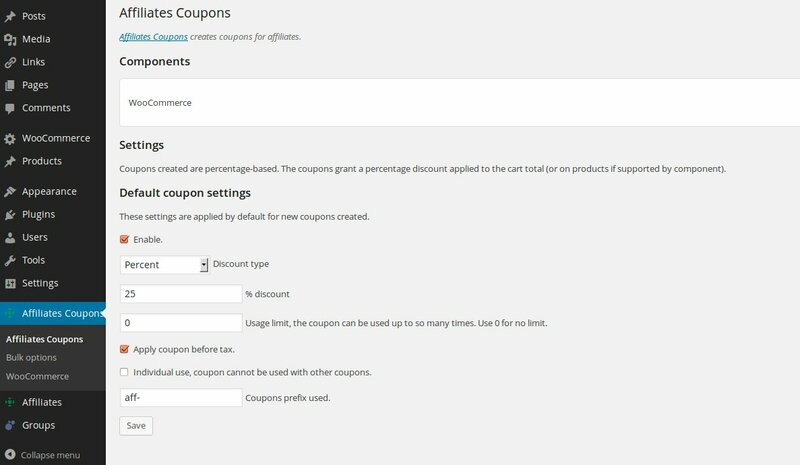 The same coupon settings as for automatic generation are supported. 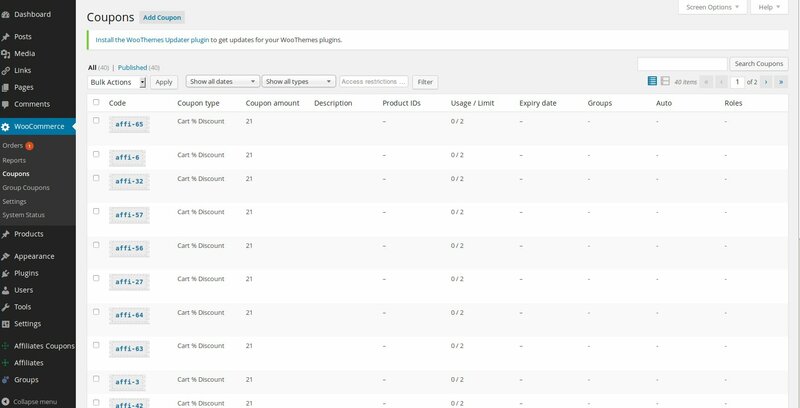 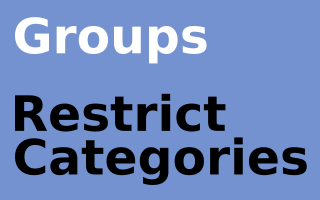 The documentation page provides detailed information about this extension.